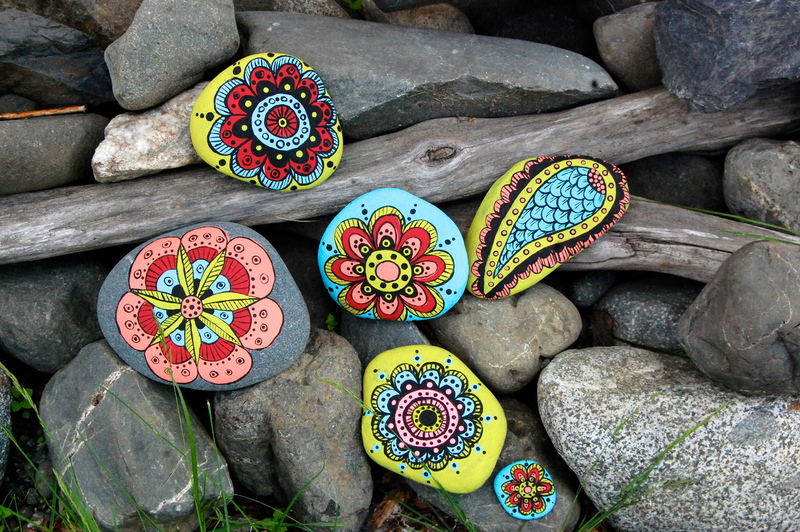 After a full day of hiking and exploring, I have enjoyed spending my evenings making these painted beach stones. Beautiful! Love it! Just wondering what kind of paint you use? Thank you. I’m glad you enjoy my artwork. I used a basic acrylic paint and then I sprayed an acrylic clear coat over the stone once it dried. Thank you. I’m glad you enjoy my artwork.I used a basic acrylic paint and then I sprayed an acrylic clear coat over the stone once it dried. Nice style, great Art,. . .